Medical dropdown lists allow you to customize the values that appear on dropdown lists for Allergy types, Diet types and Forbidden OTCs on Medical Forms. To access Medical dropdown lists, select "Medical dropdown lists" in the Medical Management section of the Medical Dashboard. 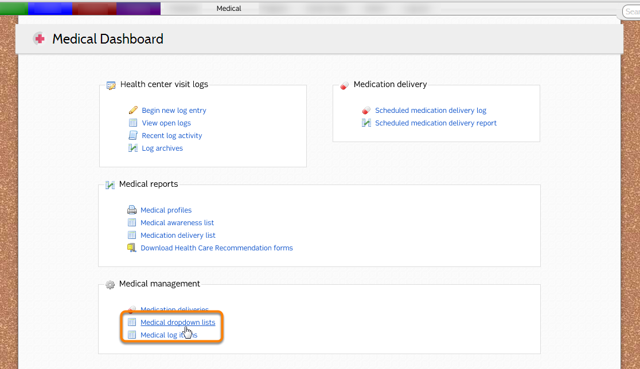 To add values to a Medical dropdown list, click the name of the list. The new value will appear on the list of values.